The sensory curriculum is designed to focus on the early communication and cognitive skills that are crucial to all future learning and improved quality of life. 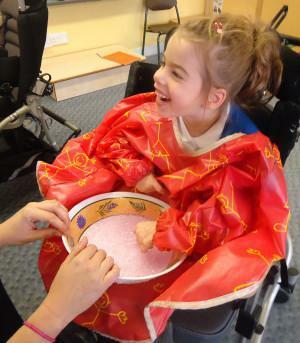 For many of our learners a sensory curriculum is the preferred vehicle for learning, across all ages and phases. We recognise that learning for these complex pupils and students will not necessarily be hierarchical, and that the pattern of development is different to those children without impairments. In order to address this context of learning, Kirkleatham recognises the need for a flexible curriculum that takes into account the individual needs of all our sensory learners. Our curriculum will take account of the learners’ preferred learning channels, the way they communicate, their ability to anticipate and remember routines, and their ability to form attachments, relationships and interact socially.